If you want a quick way to take in the history of Nintendo from the 1980 release of Game and Watch up to the Wii U a few days ago then here it is all wrapped up in a two minute animation. It’s quite a history too, taking in the company’s history over the last three decades (and a bit). You get to see the Game Boy in all its various incarnations, Super Nintendo, Gamecube and Nintendo DS (it has one or two incarnations too, a bit like Doctor Who). 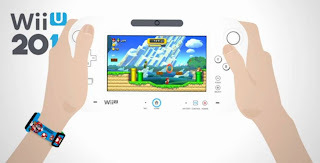 The Wii gets its own entry too, and finally we get to the Wii U released on November 30. You might think, from this very cool animation by Anthony Veloso with vector illustration by Quentin Dron that it takes in the company’s entire history. In fact (and not a lot of people know this) the company began in 1899 and manufactured playing cards before it first ventured in to the electronics market. From cards to Wii seems like a logical technological leap in some ways, so don’t mention the taxi company, the instant noodle factory or the chain of love hotels (WTF?) that Nintendo also owned and ran at points over the period of its existence!